• The Clifton School should be updated to the latest educational standards and maintained as such. • Plan and design for operation of the Clifton School building should complement rather than duplicate total assets on the CPS hilltop campus at McAlpin and Clifton Avenues. 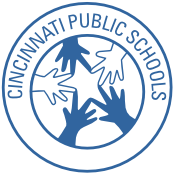 CPS is a critical broker in development of relationships among Clifton Recreation Center, Fairview Clifton German Language School, and Clifton Area Neighborhood School for the benefit of the entire community. • A central means of communication should be created to network all of these geographically-related organizations and facilities. • Investigate other successful educational/recreational collaborations, beginning with a visit to Mt. Washington School and Mt. Washington Recreation Center. • CPS and the City of Cincinnati should conduct a traffic engineering study and make appropriate changes that will ensure smooth traffic function at all times. Explore staggered start times of CANS and FCGLS, as well as multiple drop-off and pick-up points to reduce concentration of vehicular traffic.